A tool Box of 78 Guaranteed Exercises that will Finally Help Your Scoliosis Client’s Decrease Pain, Decrease Muscle Tightness, Decrease Fatigue, Improve Spine Health and Increase Back Strength! If you are interested in helping your client’s manage their scoliosis with fast, simple, and effective exercises that most fitness & health professionals don’t know about, then read this important letter. My name is Rick Kaselj. I’m a world-renowned exercise and injuries expert and international fitness educator. I have written numerous articles that have appeared in fitness association magazine, written industry leading injury exercise manuals and taught over 256 presentations to 5021 fitness professionals across Canada and the USA. I’ve developed the Effective Exercises for Scoliosis Program to help clients with scoliosis; decrease pain, decrease tightness, decrease fatigue, improve spine health, increase back strength and improve their range of motion. The Effective Exercises for Scoliosis Program is a combination of 6 years of University study (including a Master’s Degree in Exercise Science), 16 years of hands-on experience and 1000s of personal training session and careful scrutiny of 112 medical research papers. After they said this to me, they would let me know, one of their fitness goals was to work on improving their scoliosis. As I did program after program for clients with scoliosis, I was able to refine and perfect my Scoliosis & Exercise program. Clients Would Ask Me If I Could Help them With Their Scoliosis. When clients heard that I worked with clients that have scoliosis, they started asking me to train them, as most fitness professionals lacked the knowledge, confidence, experience and exercises to work with clients with scoliosis. Trainers, Like You, Asked Me What Exercises They Should Give Their Client’s with Scoliosis. After hearing that I was training clients with scoliosis while I was presenting at conferences and courses all over north america, fitness professionals began to ask me about scoliosis and what exercises to give their clients with scoliosis. I began putting the pieces together when it came to scoliosis so you could have the knowledge to understand scoliosis. Then I began to put together my best scoliosis exercises, so you have a stack of exercises that you could reach for when you have a client with scoliosis. Who is the Effective Exercises for Scoliosis Program for? The Scoliosis & Exercise program is targeted for fitness professionals that have clients with scoliosis. The program will give fitness professionals a resource to work with a client with scoliosis. I just give all my scoliosis client’s the same exercises as any lower back client? Would you give a client that wants to lose weight the same program as someone that wants to get bigger? I would not give a scoliosis clients the same exercises as a lower back client. All injuries are unique and have there own areas of focus and exercises to help overcome them. Never, give the same exercises for all injuries. Are my clients going to need expensive equipment to do the exercises? I am a big believer of the KISS principle. Many of the exercises are simple exercises that your client can do at home to help improve their scoliosis. Little or no equipment is needed. Are these the same old back strengthening exercises that I learned in my personal training certification course? I have a number of fitness certifications. I know what is taught in each of them. I have even taught many of the fitness certifying course. None of certification and certifying courses go through these scoliosis exercises. It is very important for a fitness professional to know what to do when they get a client with scoliosis. This program shows you step by step exercise program on what to do with a client with scoliosis. I’ve had scoliosis since age 11 and this is the first course/manual I’ve seen devoted specifically to scoliosis specific exercises. I had very little knowledge on how to address a client with scoliosis. Your course has presented me with the opportunity to gain a better understanding of scoliosis and how to design an appropriate exercise program using the most effective exercises. Like many of your other mini-courses, I find that this program is compact, educational, up-to-date and packed with tidbits of information that would have me spending many hours to search out similar information. What is in the EFFECTIVE EXERCISES FOR SCOLIOSIS Program? Exercise is recommended by physicians for people with scoliosis. With more people with scoliosis leaning towards exercise to help improve their scoliosis, it is vital for the fitness professional to be educated and prepared to work with these clients. Exercise can help safely alleviate pain, stiffness, de-conditioning, decrease fatigue and muscular weakness associated with scoliosis. You will gain a comprehensive understanding of scoliosis, how to design an appropriate exercise program for your clients with scoliosis and discover the most effective exercises for scoliosis. If you are ready to increase your confidence working with clients with scoliosis, would like to understand how to safely train clients with scoliosis and empower yourself with the exercises to help your clients with scoliosis, then Effective Exercises for Scoliosis manual is a must tool for you to have. The great things is, you will get the Effective Exercises for Scoliosis Manual right away. I will send you a digital copy of the Effective Exercises for Scoliosis Manual so you can have it right away and can print out the exercises for your next scoliosis client. Scoliosis & Exercise REPORT is a research based report that highlights the key points when designing an exercise program for a client with scoliosis. I know the importance of looking to see what is new in the research when it comes to scoliosis and exercises. The great thing is, I do all the work for you and give you what you need to know when it comes to scoliosis and exercise. Plus I include resources where you can get more information on scoliosis and exercise. I also have an interview with Ryan Ketchum who is a fitness professional and he provides his experience designing exercise programs for clients with scoliosis, plus he shares the keys that a fitness professionals should remember when designing an exercise program for a client with scoliosis. In this expert interview, you learn from Simone Icough who is a client that suffers from scoliosis. 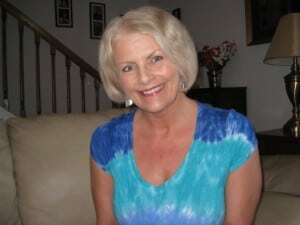 She shares her experience with scoliosis surgery and how she manages scoliosis. In this expert interview with Dr. Will Kalla he will share with you his opinion on exercise for the scoliosis client. He talks about exercise considerations for youth and older adults with scoliosis plus share new research in the area of scoliosis. You also get the transcripts of the interview of the fitness professional, client and health care professional on scoliosis and exercise. We all learn differently and I know it is easier for me to take notes when I am reading something. It is kind of expensive? To be honest, I think it is a deal! I just recently paid $250 for a 6 hour one day course. It was okay but I got a handout that was photocopy of a photocopy. Plus by the next day, I forgot most of what I learned and the handout I got was so brief that it was a very poor reference. You get a resource manual on scoliosis exercises. You get a three interviews on scoliosis and exercise. The scoliosis manual has all the information you need right there. You can keep it in your resource library and refer to it when you have you next scoliosis client. Plus all of the other bonuses you get. Working with clients with injuries is way out of my scope of practice? I don’t think I have ever had a client that has never had an injury. I don’t work with clients that were just injured and have not been cleared by their doctor to start an exercise program. All of my clients have gotten the okay from their doctor, orthopedic specialist, physical therapist, chiropractor, occupational therapist and massage therapist to start an Exercises for Scoliosis program. Most health care professional teams understand the benefits of exercise for a client with scoliosis and encourage them to start a scoliosis exercise program. Most of my clients are sent out on their own to start an exercise program for their scoliosis. I help them find an exercise program they feel comfortable with, is safe, effective and helps improve their scoliosis. I make sure my client brings a copy of the exercise program to doctor, orthopedic specialist, physical therapist, chiropractor, occupational therapist, Kinesiologist, rehabilitation assistant and massage therapist to see if they have any issues with any of the exercises or suggestions on the exercise program. Who else uses these exercises? I use to design, implement and progress the exercises for the patients of physicians, orthopedic surgeons, physical therapists, massage therapists, occupational therapists and Kinesiolgoists. Many of the exercises I learned from them plus many I found on my own. I have put all the exercises into the Effective Exercises for Scoliosis Program. Is this one of those thick sport medicine textbooks that has all kind of anatomy and surgery stuff and nearly no exercise information? I have shelves full of those text books from university. The Effective Exercises for Scoliosis Program has a taste of anatomy so you have a better understanding of the exercises and a few pages letting you know what you need to know about the medical options for scoliosis but it is mainly full of exercises. Is this one of those physical therapy books with all kinds of assessments and mobilizations that I am not allowed to do? There is a little section on assessment explaining what your client may go through with their doctor. The vast majority of the manual is exercises that you can use with your scoliosis clients. Is this manual all words and no pictures? I am a fitness professional and know that fitness professionals are visual and like good pictures and brief to the point exercise description and with great cueing. That is what the Effective Exercises for Scoliosis Program has. How good of a stick man drawer are you? The manual has no stick men in it. It has a photo of the start of the exercise and the end of the exercise. Plus you can photocopy or print out a copy of the exercise to give to your clients. Is this manual a photocopy of a photocopy that I get at most fitness education courses? No way, this is a manual that you will put on your shelf and refer to over and over again. I am very confident that you will give it to you fellow colleagues to check out and use it with their scoliosis clients. Do I just get a tiny little presentation handout that has a little information that most fitness conference give me? I get those too, very disappointing. No way, this is a manual that is over 169 pages in size. Is this book all scientific and wordy like your masters project? I know most fitness professionals do not enjoy read research papers as much as I do. I know fitness professionals want an effective exercise program and exercises for their scoliosis clients and that is what is in the program. Most of the manual is exercises. I want to give you a high quality printing copy of the Effective Exercises for Scoliosis manual. This manual will go thug when you get. 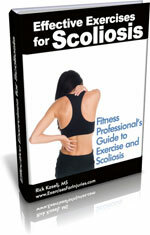 It is jammed packed with Exercises for Scoliosis to help you feel more comfortable working with clients with scoliosis. I have paid $200 to $300 for various university injury textbooks that I have only opened once. They look good on my shelf but are useless when it comes to exercises for scoliosis. I know you will be reaching for this manual every time you have a client with scoliosis. For this price, I don’t know how much longer I am going to be able to do this. A full color handout of the “Go-To” Most Effective Exercises for Scoliosis Program that you can print out and give to your client. This is the program that I give all my scolisis clients to start with. I give you a three month Exercises for Scoliosis program that you can use with your clients right away. Full color handouts of the 3 Month Exercises for Scoliosis Program that you can print out and give to your client. I am always adding new exercises to the Effective Exercises for Scoliosis Program and you will get all of this updates for free. For the First 7 That Order! I have been presenting courses across North America on exercises and injuries. From listening to all those fitness professionals, the biggest challenge they have are what exercises to do for clients with injuries. Let me help you out for free for 30 day! Just send me your question on one of your clients with scoliosis and I will help you out. In 7 days, if your scoliosis clients don’t have a decrease in pain, decrease in muscle tightness, a decrease in fatigue, improvement in spinal health and an increase in back strength –You Get Your Money Back! If that is Not Good Enough, Try The Effective Exercises for Scoliosis Program For The Next 90 Days With A No-Risk, 100% Money Back Guarantee! “Test drive” The Effective Exercises for Scoliosis Program for the next 90 days with absolutely no risk so you can see how the pain, muscle tightness, fatigue, spinal health and back strength will improve in your scoliosis clients. You can feel completely safe because you are protected by my iron clad 100% money back guarantee. You will not only be satisfied, I guarantee you will be thrilled and amazed with The Effective Exercises for Scoliosis program, or you can simply email me and ask for a prompt and courteous, no hassles, no questions asked, 100% refund. In fact, if you’re not completely happy for any reason at all, then I insist that you ask for a refund. However, after seeing so many men and women improve their scoliosis in a quick and effective manner, I am confident that you will be thrilled as well. P.S. – There is NO RISK at all for you when you try the Effective Exercises for Scoliosis Program. If you are not thrilled how this program helps your scoliosis clients decrease their pain, decrease muscle tightness, improve their spine health and increase their back strength, let me know and I will refund your order. Your satisfaction is 100% guaranteed. Rick Kaselj has been trusted by the largest fitness & rehabilitation associations in Canada and the USA (NSCA, ACE, CanFitPro, BCRPA, CKA, NHPC). P.P.S – If you are sick and tired of not know what exercises to give you clients with scoliosis. Here is your solution. Effective Exercises for Scoliosis Program will help your clients decrease their pain, decrease muscle tightness, improve their spine health and increase their back strength. P.P.P.S. – There’s only one catch to all this. 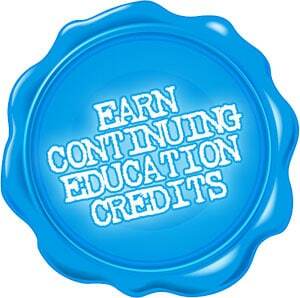 You need to act now to get the complete bonus package (including the valuable expert interviews). With all of the new bonuses I’ve just added, I’ve been told this package is way too cheap now and the price will be going up very soon. Of, if I decide to keep the price the same, the bonuses may be withdrawn at any time and put up for sale separately. Order now so you don’t miss out on the great Exercises for Scoliosis bonus package deal! 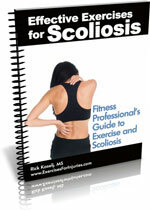 NOTE: The Effective Exercises for Scoliosis is a physical manual, downloadable video, audio and e-book. The physical manual will be shipped to you. After you order, you will get INSTANT ACCESS to download the video, audio and e-book. The e-book format is adobe acrobat PDF, which can be viewed on Mac or PC. If you have any questions, contact support (at) exercisesforinjuries.com .